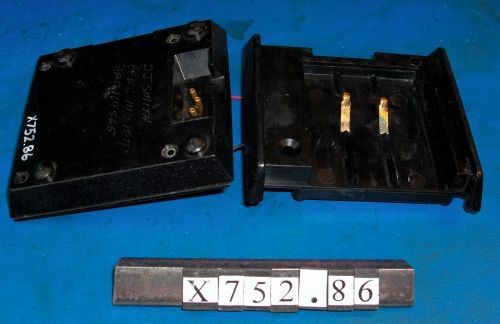 Serial number 1333A22025 1333A22025 number is inside the battery compartment. 1 1/2 x 3 x 6 in. 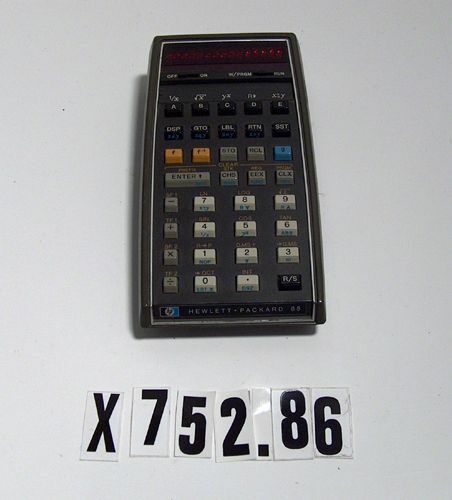 Object includes: HP-65 calculator, magnetic memory card standard pack, memory card "E. E. pac 2 Microwave" pack, a large number of pocket instruction cards, and a magnetic memory card pack.. Calculator has metal property tag reading, "Darwin J. Smith," on the top end.